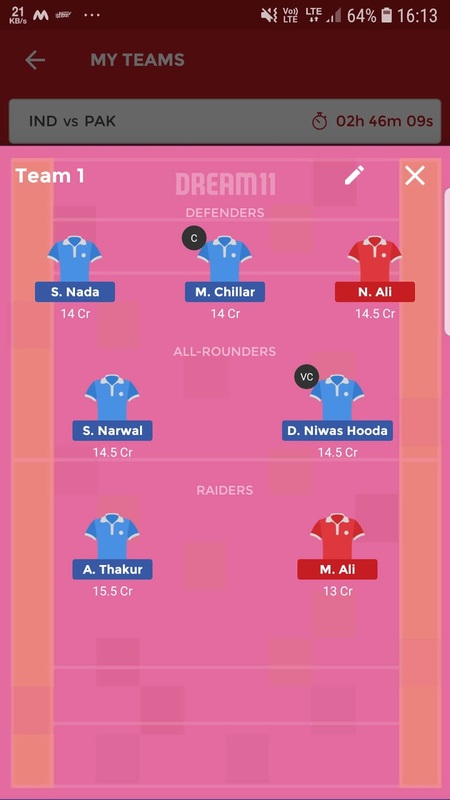 This is the first match, so playing 11 might change at the last moment. IND have Ajay Thakur, Pardeep Narwal and Rahul Chaudhuri all lead their attack. Surender Nada, Sandeep Narwal and Manjeet Chhillar are expected to start the game. 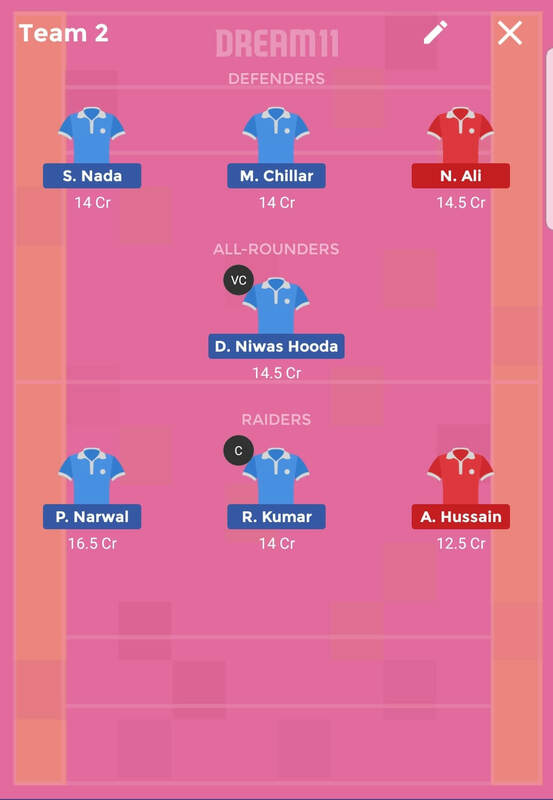 This match could be risky as first few matches the lineups are not confirmed. 1)Playing 7’s can change at the last moment, so nobody will ever know who’s in playing 7. 2) Always Create up to 6 teams with playing 7 from both teams. This app, in any way, is not related to Dream 11.